2010 Jeep Wrangler Sport with Automatic transmission comes with 84,000 miles. It has been very well taken care of, fully serviced and drives smooth. Please look at all the pictures to see how nice this vehicle is. 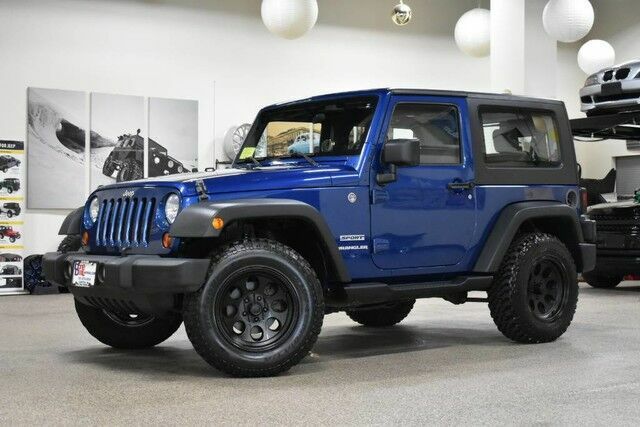 This Jeep includes: MEDIA CENTER 230 CD Player AM/FM Stereo CD Changer MP3 Player BLACK FREEDOM TOP 3-PIECE HARDTOP Targa Roof Privacy Glass Rear Defrost Convertible Hardtop DEEP WATER BLUE PEARL 4-SPEED AUTOMATIC TRANSMISSION 4-Speed A/T A/T BLACK APPEARANCE GROUP Running Boards/Side Steps 3.8L OHV 12-VALVE SMPI V6 ENGINE (STD) V6 Cylinder Engine Gasoline Fuel *Note - For third party subscriptions or services, please contact the dealer for more information. * When you purchase a vehicle with the CARFAX Buyback Guarantee, you're getting what you paid for. This SUV gives you versatility, style and comfort all in one vehicle.